An asset collection is a group of assets that fit search criteria so that you can manage and administer them collectively. Group data assets into asset collections based on business classifications, purpose, protections, relevance, etc. Find tags or assets in your data lake using Hive assets, attribute facets, or free text. 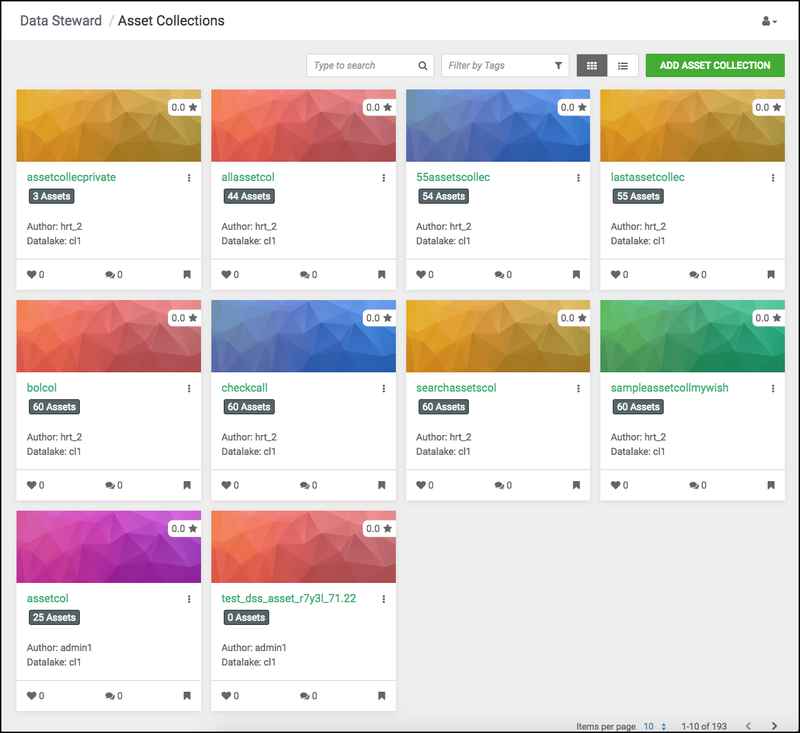 Advanced asset search uses facets of technical and business metadata about the assets, such as those captured in Apache Atlas, to help users define and build collections of interest. Advanced search conditions are a subset of attributes for the Apache Atlas type hive_table. View dashboards with an overview of data assets within an asset collection. Audit data asset security and use for anomaly detection, forensic audit and compliance, and proper control mechanisms. You can edit Asset Collections after you create them and the assets contained within the collection will be updated. CRUD (Create, Read, Update, Delete) is supported for Asset Collections. Asset Collections must have less than 130 assets.